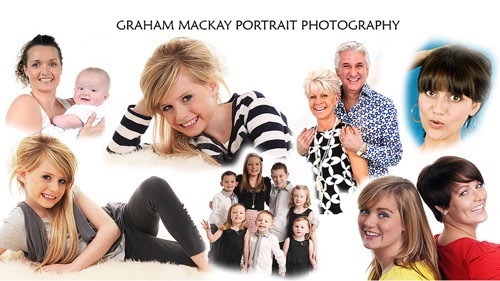 Operating from a new studio in Cumbernauld Graham offers a wide selection of portrait services. It may be some family photographs that you have always wanted done but never had the time. Starting a family? Capture the memories that will last a lifetime. If you’re looking for a portfolio we offer fashion photographs combined with a make over and if required a new hairstyle, or you may just wish to purchase a gift voucher for your partner or family member to have some great photographs taken in a fun filled atmosphere. Studio sittings are only £50 please email or phone to book your appointment. Portraits can also be taken on site using our portable studio.